Alcohol addiction affects many and robs people of the joy of living. People in Illinois who are struggling with alcohol addiction can win this fight with the right help. Get help by calling any of these alcohol recovery hotlines. Call Delphi Health Group on the helpline for alcohol addiction (866)-520-2708. for and treatment services. Representatives are available to provide alcohol counseling and treatment advice around the clock. Calls are toll-free to the alcohol anonymous hotline number and are 100% confidential. Services provided are also covered by insurance in most cases. Illinois Helpline is a statewide resource for getting treatment information and accessing treatment programs available in Illinois. Callers will speak to well-trained specialists who will provide support, advice, and counselling on alcohol treatment. Call the free alcohol helpline on 833-2FINDHELP. Illinois helpline is available 24/7/365. Illinois Department of Human Services provides support and treatment advice and connects callers to treatment services available across the state. Call the Department of Human Services on the free alcohol helpline 1-800-843-6154. The Substance Abuse and Mental Health Services Administration (SAMHSA) National Helpline 1-800-662-HELP (4357) provides information on and treatment referrals for alcohol addiction and other substance abuse disorders. Representatives are available 24/7/365 and can speak both English and Spanish. 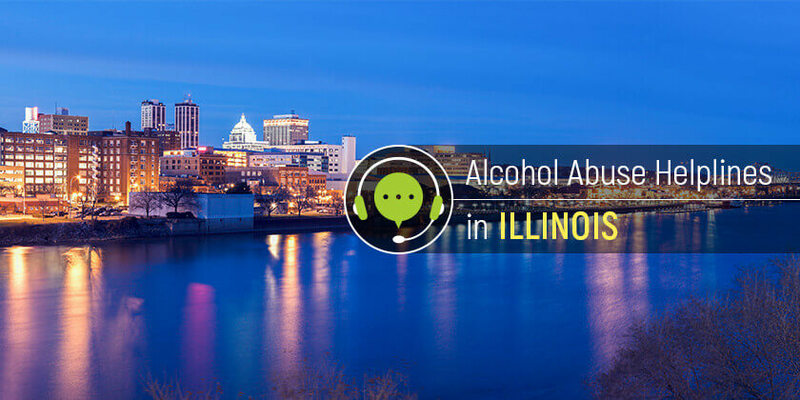 In Illinois, help is available 24/7 for people with alcohol addiction. Dial these alcohol helpline numbers to get immediate help.